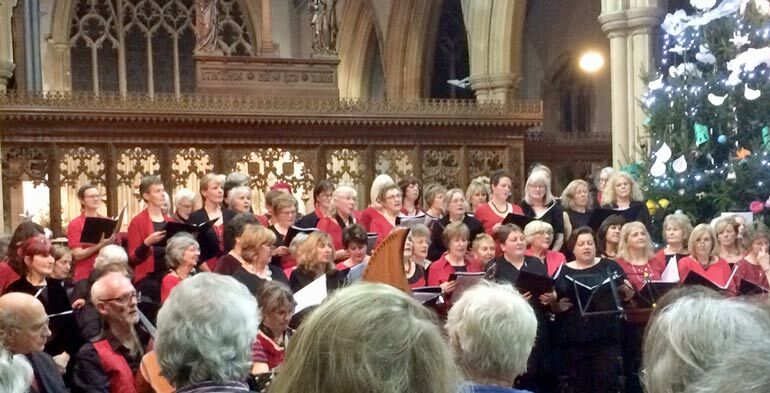 Luminos, a Poole-based community choir, held its annual Christmas concert at St Aldhelm’s Church, Branksome, raising more than £700 for WaterAid UK, the charity which works around the world to ensure people have clean drinking water. The collection was in tribute to Luminos member Moira Muir, a WaterAid supporter, who died last August. Led by Bridport-based Sammy Hurden, the choir featured a host of excellent musicians, including cellist Chas Dickie (once of progressive rock giants Van de Graaff Generator), trumpeter Jim Dvorak, double bassist Julia Doyle and multi-instrumentalist Jane Saunders.